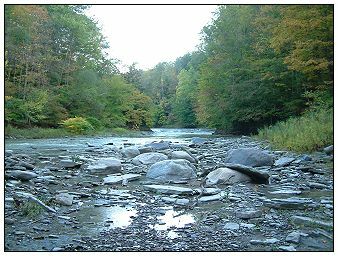 South Branch Cattaraugus Creek: From Deer Lick Nature Sanctuary to the Confluence is public property of the Zoar Valley MUA. South of beginning of Deer Lick on the East Bank is private property. On the west bank south the MUA ends at the first turn of Hair Pin Canyon. Please observe the rights of the property owners and stay on the MUA land. 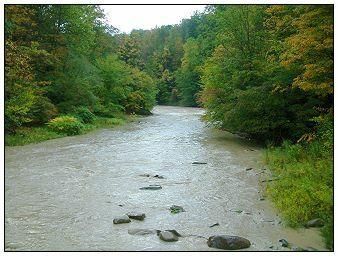 This creek is in a beautiful Canyon and on the MUA contains three waterfalls - Little 4d, The Forty Road, Gossimer and Buff Cascade. 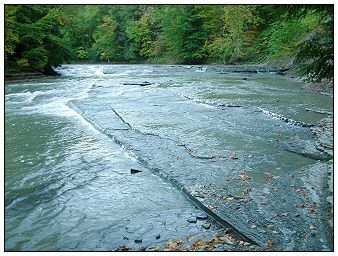 Other points of interest are "the Point," the Forty Road parking area and rapids, and the Forty Road Canyon wall. 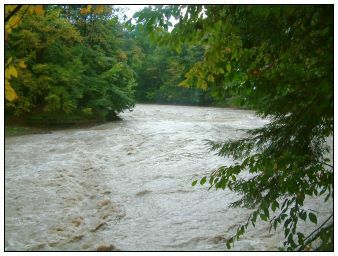 There are terraces along the way that are dangerous to be on as the water rises QUICKLY in the area. In July of 2008 a group of hikers found out the hard way as they became trapped overnight.